• The High Priority notifications feature is available for all users having the 2.18.117 beta update. • It’s necessary to have Android 5.0 or higher in order to use the feature. 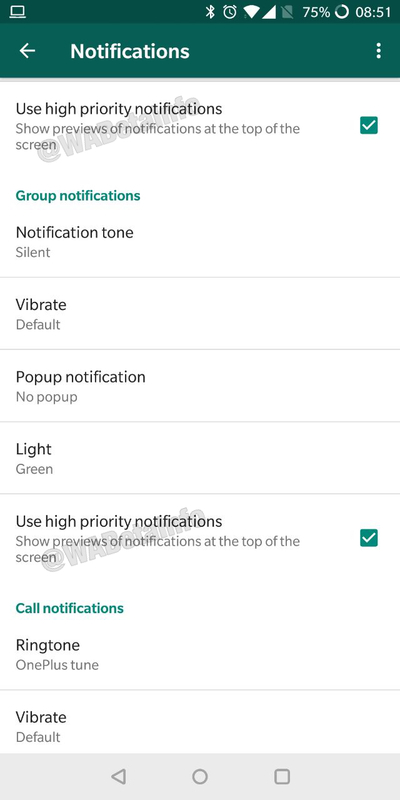 WhatsApp is currently working to add a new feature in the Android app that allows to manage the push notifications better, introducing High priority notifications. The concept of the feature is very similar to the PIN CHAT feature: if the option is enabled, every incoming notification will be pinned at the top of your notification center. Obviously, if other apps support the High Priority Notifications feature, the system will show the notifications at the top of the Notification Center, in chronological order.